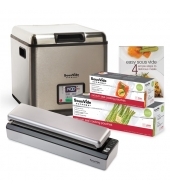 Great starter package with everything you need to cook sous vide with ease and convenience in your own home. 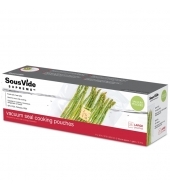 The SousVide Supreme vacuum sealable food-safe bags are specially designed to withstand the temperatures involved with sous vide cooking, but can also be used for storing any kind of food or dry goods. 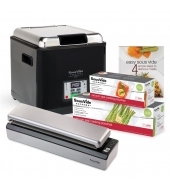 The Immersion Supreme™ is the newest product from SousVide Supreme, the market leader in home sous vide. 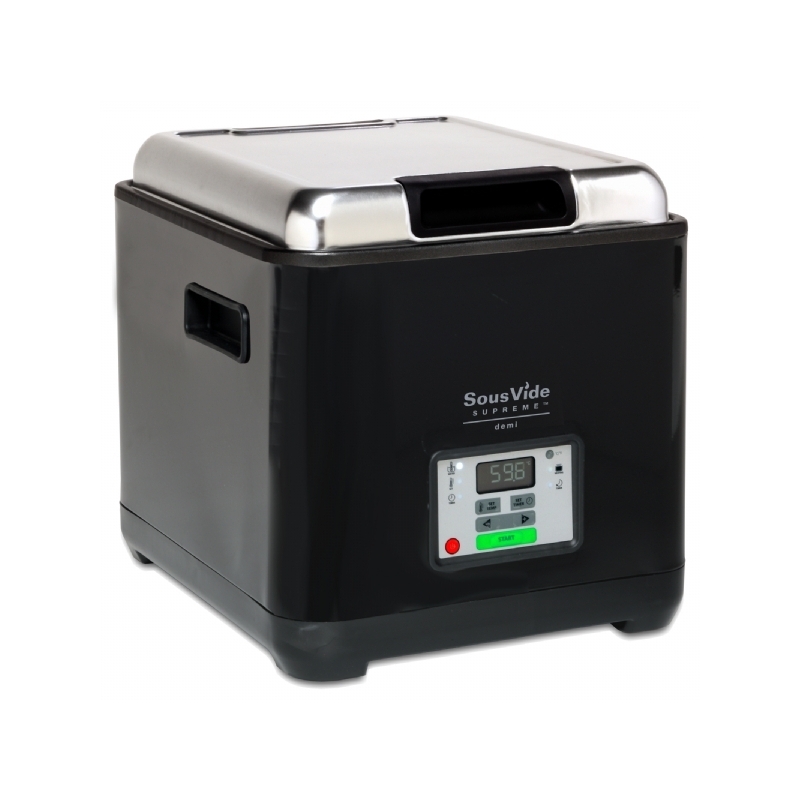 Designed for the serious cook who wants serious culinary tools, the Immersion Supreme boasts a robust construction and powerful heating element that will easily and efficiently heat up to 40 litres of water - enough for even large-volume, commercial sous vide cooking. 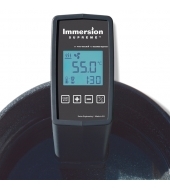 Accurate to ±0.1 degree C. Tough but beautiful, its stylish looks and whisper-quiet operation make the Immersion Supreme a perfect fit for the kitchen. 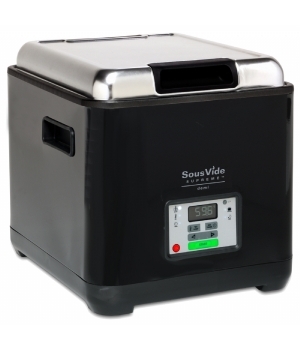 Simple to clean, easy to store, and virtually maintenance free, it’s the ideal circulator for the the professional as well as the home cook.